I just received my book on Spoken English of this author and when compared to the other books that I had gone through, I found this of average content. Coming from a Non-English education background, this book has helped me to gain immense confidence in the language and to speak well among friends and even strangers. 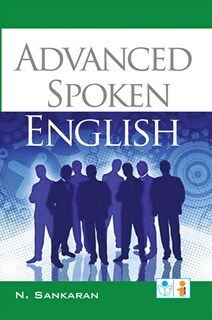 I am happy to have received my first Spoken English book. Have heard a lot about this author from my friends. Hope the book does a lot of help to strengthen my knowledge in the English language. Age is no more a concern when it comes to learning. This book has proved this fact. It is very simple, easy to understand and also available online and at the leading bookstore. On purchasing this book, my excitement grew unlimited. I am extremely satisfied now that my English has improved. Thanks to the author for coming out with this simple Spoken English. I was looking for a good Spoken English book and got hold of this. I checked the net and found the ratings good. It has really helped me to find my grammatical mistakes and to have them corrected. A good book which can be recommended to others.